While I continue to promise reviews and insight into 3-D films of yesteryear, I also continue to make you readers wait. It is after all festival season here in Toronto. There was the excursion to New York, Fan Expo here at home and the Toronto International Film Festival is about to start (Werner Herzog has another documentary premiering this year—in 3-D no less). With a family and a day job, there is only so much time to write. 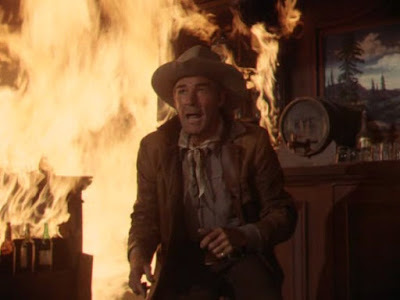 So while the reviews will have to wait, and I’ve got an ever-growing list, I do have a little tidbit of audio that relates to a film I saw at the Classic 3-D festival in New York. The Stranger Wore A Gun was Andre de Toth’s second dimensional feature of the 50’s, a western follow up to the classic House of Wax. While not as fondly remembered as House of Wax, The Stranger Wore A Gun is a solid B-western featuring Randolph Scott as a crooked cowboy of fortune who draws the line at murder, yet the gangs he runs with almost always end up crossing that line. Scott’s clean looks remind me of that classic cowboy from the silent era, the ones that are always a little too clean cut. 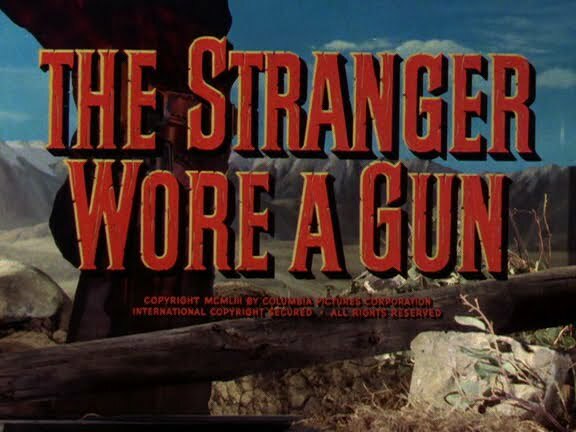 He’s a far cry from the rugged anti-heroes that would later populate the Spaghetti westerns of the 60s and 70’s, though his portrayal of Jeff Travis fits in nicely with the gunslinger of the later Italian westerns, ultimately good at heart, but willing to break a few laws if he can improve his fortune. The film also has in its cast Lee Marvin and Ernest Borgnine as the villain’s henchmen. 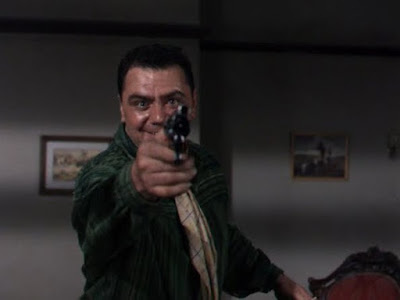 This was only Borgnine’s second film for Columbia in a career that has spanned sixty years. At 93 years of age Borgnine is still as spry as ever, the same man I remember from films and TV in my youth (over 20 years ago). 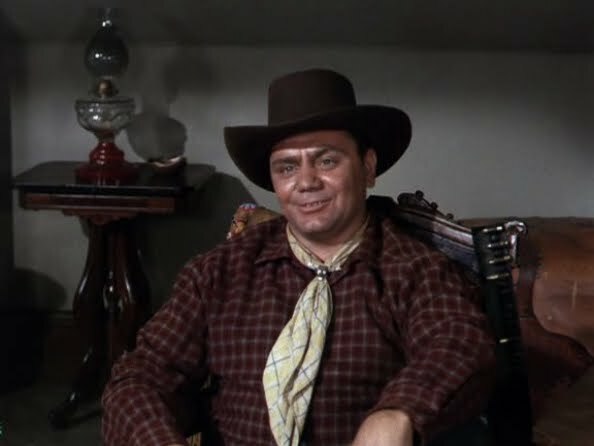 Ernest Borgnine in his early years. And now we come to the true focus of today’s post. At this year’s Fan Expo I decided I’d ask him about this early encounter with 3-D, back when the gimmick was truly something new. My earliest plan was to ambush him at his signature booth, but fearing a 40-dollar signing fee and no guarantee that I would be able to preserve our conversation on my ipod’s voice memo I instead waited to pose the question at his Question and Answer session later in the day. While his response was more antidotal than informative it is presented here as an early recollection of an actor’s interaction with the stereoscopic film camera. "Throw it into the camera, Ernie!"